It’s pretty much the engine from NetherRealm’s other mobile fighting game, WWE Immortals. A game which is actually, pretty damn good. Characters automatically move towards one another in that game, with quick taps creating light attacks while heavier strokes with your fingers will set up more damaging blows. What makes that game a touch different however, is that special moves can be triggered with spontaneous QTEs that require some deft timing. As I said, WWE Immortals is pretty damn good for a freemium game, and I’ve got no complaints seeing that model of gameplay emulated Mortal Kombat style. 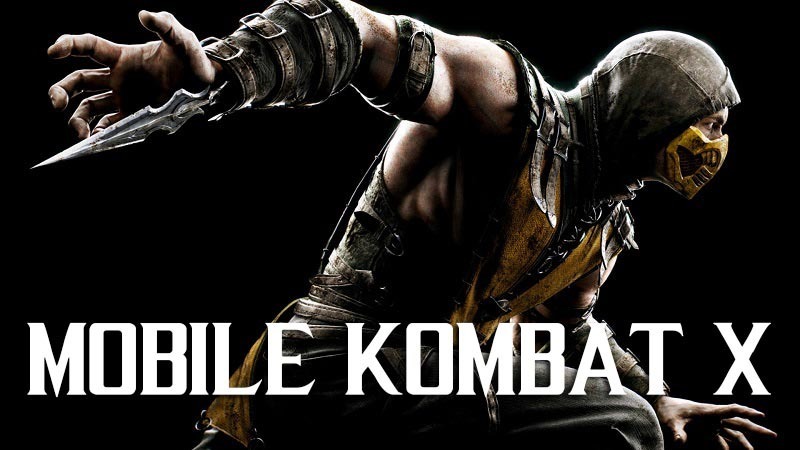 The Mortal Kombat X version however, looks a touch faster and more gruesome than WWE Immortals. So that’s a win already. Players will also need to blend the fighting with collecting cards, and can unlock more content for the upcoming console and PC version of the game as well. If the freemium caveats are anything like WWE Immortals however, expect to start off with a trio of fighters who can be used to grind out koins to unlock other fighters from the Mortal Kombat universe. Or you could just swipe your card and buy koin with actual kash. Freemium baby! Mortal Kombat on the desk, Mortal Kombat in the bed. That’s kind of neat.